Councillor Mark McKinty, who grew up in the Co Antrim village, said the entire community woke up this morning in a state of complete shock when news of last night’s incident filtered through. An altercation between a number of people outside a public house on the village’s Main Street resulted in three men being stabbed. The men - two of whom are aged in their 30s and the other aged in his 60s - were treated in hospital for stab wounds to the body. “First and foremost, I send my best wishes for a speedy recovery to the three injured parties, all of whom I know well,” said Cllr McKinty, who represents the Larne Lough area on Mid and East Antrim Borough Council. “Sincere thanks must go to the PSNI who were on the scene very quickly, possibly preventing further injury or a fatality. “Ballycarry is a small and peaceful community which is understandably shaken today, and I know the whole village will rally around those individuals and businesses affected,” Cllr McKinty added. The UUP representative urged anyone with any information about the incident to contact police and assit with their investigation. 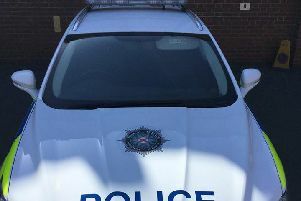 PSNI Detective Sergeant Miller is also appealing for anyone who was in the area of Main Street and who witnessed the incident or anyone with any information that can assist with the investigation to contact detectives in Ballymena on 101 quoting reference 87 11/08/18.